Dr. Jed Bayasi is a pulmonologist specialist in Gilbert, Arizona. 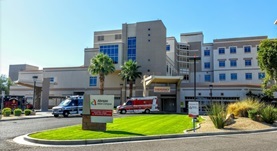 The doctor works with multiple hospitals in the area, among which Chandler Regional Medical Center and Banner Desert Medical Center. He got his medical degree from Damascus University Faculty of Medicine and his residency in internal medicine was completed at St Joseph Mercy. Dr. Jed Bayasi did two fellowships, one at Mount Sinai School of Medicine and one University of Arizona. He has four board certifications, including Pulmonary Disease and Hospice and Palliative Medicine and Sleep Medicine.